WeAllSew Celebrates Our Loyal Fans: 64,000 Likes! 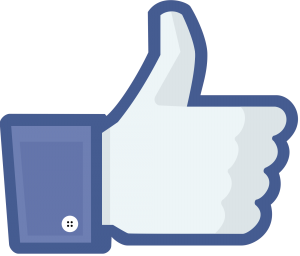 We’ve just reached 64,000 likes on our BERNINA USA Facebook fan page! We quickly reached our goal of 64,ooo, and as a way to say “Thank You!” to all who join us at Facebook to share your love of sewing and creating, we are hosting another special giveaway. What will you sew to help decorate your home for the holidays this season? Sweepstakes Rules: Open to residents of the 50 United States and the District of Columbia. One comment per fan. Comment must be submitted to the WeAllSew.com blog within 24 hours after blog post posting by November 10th, 12:00 midnight Central Time. Winner will be chosen randomly. Winner will be announced about one week after contest ends, and will have 48 hours to contact us at WeAllSew@berninausa.com to claim the prize. Keep checking back here starting next week! CONGRATULATIONS to our contest winner, WeAllSew fan jjc60141! I’m planning to sew some ornaments for my tree and a table topper for our dining table. Thanks for the giveaway. That would be a great book for inspiration. I plan on making a tree skirt for our Christmas Tree. Also, a felt advent calendar. I am making new stocking for the grandkids. I will be making a tree skirt, mantel scarf, and table linens. I am working on a red and green wall hanging! I would like to make a table runner or a Christmas Star. Our family really enjoyed the instructions on sewing the hem on jeans! I’ll be sewing Christmas stockings and a Table runner…maybe a wall hanging. I am making a table topper and a quilt. Hoping to have them done before the holidays! (You all know how THAT goes!) Congrats, keep them coming. I will make holiday placemats! I’m going to make a new Christmas wall hanging . I will be sewing stockings for our family! Christmas pillow cases to match my Christmas quilt! Christmas stockings! This year, it’s all about Christmas stockings in our house. I would love to make Christmas curtains, tablecloths, napkins and gifts. A Spicy Spiral Table Runner. I am going to embroider on linen burlap ribbon I found at a local decor store using my Bernina Artista 200/730 and my mega hoop and then use that ribbon in my holiday display decor. I would make a Christmas wall hanging. I will make a pretty new Christmas tree skirt. Mine was worn out and plan. This will be a great addition to my decorations. i have been so busy sewing Christmas outfits for my granddaugher and she will definitely decorate my house!!!! Hanukkah kitchen towels with potholder tops for hanging on oven handle…cute & quick!! Already sewed 2 holiday banners to decorate with this year. A new Christmas wall hanging ! It’s absolutely time. A table top runner, fireplace mantle cover and placemats. Pillows…wonderful fluffy pillows for my sofa. Various OESD free standing lace ornaments as well as the Christmas Victorian Village scene. I will sew an new Christmas tree skirt and a new holiday quilt to hang from my quilt display for the holidays and a couple of new holiday hand towels for the kitchen. I will be making quilted items for gifts, ie tissue boxes/holders, pot holders/mitts, coasters, towel toppers,maybe placemats,. I will not really make decorations per say since I am alone! This year I am planning to make new stockings for our family. I am going to make table toppers for all of my living room tables and for the dining room table: all red and green patchwork. I have a ton of Christmas fabric scraps that I just can’y throw away! Christmas Tree wall hanging with decorations! I’m sewing up a snowman quilt from a block swap I participated in. I’m planning on making two table runners. One for me and one as a gift. One small wall hanging and a great Pintrest idea for a tree skirt. I am going to sew up some banners and some thanksgiving turkey place mats. Looks like a great book to have, I saw one on our Shop Hop trip and wished I would have bought it, would be nice to win. I plan in making matching stockings for all my kids and their spouses. I hope I get it done! I’m making a Christmas Card holder. The pattern is from Nancy Halverson’s Believe book. I have the fabrics now I just need to get started cutting. I plan on making a Christmas wall hanging to decorate my house and it will definitely have snowman all over it. I have a thing for snowman and see some really cute ones in Nancy Halvorsen’s book. Thanks for the chance to win. I need to finish up two stocking. Attempt to start and finish a tree skirt before Christmas comes. Make a few aprons and 3-D trees for gifts. I’ve decided to sew animal face slipper scuffs as stocking gifts for my adult children. Kwik Sew has a neat pattern that my Bernina dealer demoed today. I’ll change the faces a bit, I think I need a bunny, a cat, and a pig. I plan on finishing a quilt and making drink coasters to give as gifts. I want to make some Free Standing Lace snowflakes and hang them from the chandelier over the dinning table. Also, I owe my daughter a new Christmas Tree skirt, promised her one last year, and never got it done. Our Christmas Tree skirt is old and raggy – I want to sew something new and lovely for under the tree this year! Two Christmas tree skirts! One that is in the Dinning-room and the other that is in the kitchen! We have three trees. I’ve made some Christmas keepsake items to give to my family. There is nothing like bringing out a cherished handmade item each year ! I will be making some Christmas stockings for new members of the family, a wall , and hopefully a new pillow. I have seen this book – and it is awesome! What a great giveaway!!! I will be sewing a christmas tree skirt and a mantel cloth. Mug rugs and christmas tree ormaments. I’m going to be making a new table runner and some wall quilts. I especially love the star quilt blocks for the holidays. I saw a free pattern for a cookie plate mat and my daughters think that would be a great project for this Christmas. I’m just learning to sew and I think I’d like to make mug rugs for my family to enjoy our Christmas morning hot chocolate and pastry. I made two for my husband so far, but my kids have raved about how awesome they are…I’m sure the college daughter and her boyfriend could use them in their dorms as well. So that is my goal for this holiday season. I am hoping to finally make the tree skirt I’ve been wanting to make for 3 years! I want to do a wall hanging or door decoration. I am starting with a tree skirt and a table runner. A great pattern book and my Bernina will help me sew! I plan to quilt a table runner using as many feet as possible. I’ll be using my Bernina Foot Books to help me out! I plan to make a new bed runner with a Twelve Days of Christmas theme – that’s after I get all the gifts done! I’m making our Christmas tree, and it won’t be pine! Got inspiration from Pinterest board and looking at several options and all involve fabric at some point! I am making table runners with various fabrics to give as gifts. I am planning to give the gift on Thanksgiving so the person can enjoy it all through December. I’m making table runners for everyone (! ), a blue Christmas tree wall hanging, and a Christmas stocking for my beautiful, first grandbaby, Owen ! Along with the quilts for Christmas gifts I need to get quilted & bound, I will make aprons and towels for gifts as well as something new for my kitchen. Stockings for all 6 of us. I;m making pillows and pillowcases for my grandkids! I plan to make tea light covers for the staff and residents of my father-in-law’s assisted living home. Also, an advent calendar for each of my children. I’d like to make a cozy throw for my sofa. I plan to make a new table runner! New aprons for all the girls – trying to get them together for the “Tie One On” day to start some cookie baking. I working on several faux chenille throws. Advent calendars for the grandkids. And I love snowmen, so this book would be great. I think some placemats. Mug rugs too. I plan on making the patchwork wreath wall hanging. I am going to make a table runner. I plan to make some patchwork ornaments and fabric gift bags. I made some beautiful placemats and hope to find time for a tree skirt. Hope to finish granddaughter’s quilt as grandson is waiting not too patiently! Unable to have an actual Christmas Tree this year due to limited space so I’m going to make a wall hanging with a Christmas Tree on it. I’m also making a table runner and placemats. A Christmas panel with a red bow for my front door. I am making aprons and pillows this year. Thanks for the fun giveaways! I am Making Christmas Themed kitchen things like wall hangings and oven towels and pot holders, and table settings. I will make holiday dish towels for hostess gifts. My Mom moved to assisted living this year. I am making a wall hanging for her door and some extra little ornaments for those near her who don’t have a little something for their doors! I have several projects going on but at the moment I am finishing I Spy quilts for my grandsons. I’ve got a tree skirt pattern I bought last year that I didn’t get done. Hopefully I’ll get it done in time for this Christmas. I’m going to make ornaments to hang and an advent calandra with mini ornaments. I also have some easy projects to create with the grand kids. I am going to make freestanding lace ornaments with my Bernina 640, using the Oesd collection “Christmas Ornaments & Charms”. I am making a quilted tree skirt. I plan on sewing free standing lace napkin rings for my annual holiday dinner. Treeskirt and dishtowels and a table runner. If I get to it pillows and I need a new apron, but that is considered clothing, I guess. Making baby quilt, bibs, and burp cloths for new grandson!! Tabletoppers. So far I’ve finished an easy ten-minute table runner. I hope to finally finish a tree skirt that I started a few years ago and have never quilted it! Thanks for the chance to win the HO HO HO book. Table runners and stockings and totes! I would like to embroider some Christmas stockings with designs that reflect our personalities. For example, my daughter loved the bird of paradise flowers we saw in Santa Barbara, so I want to embroider a bird of paradise flower on her stocking. 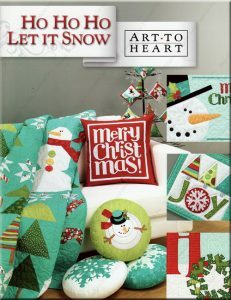 A Christmas lap quilt is what I plan on sewing this holiday season. I have 2 new Son-in-Laws so will be making them embroidered stockings! I am starting a new tree skirt and a wall hanging to match all the ornaments. I was just talking to my daughter today about sewing some holiday pillows. Something for Xmas and perhaps with a star pattern. An embroidered table runner. So many great ideas from weallsew. Sew! Who has time to see? I’ll be happy to get the hubbs to decorate the tree and pull out all the stuff I’ve made for the past 40-some years. This year we have 2 granddaughters to do up right ! I’m making a tree skirt and some paper-pieced ornaments. my family, for Thanksgiving. We all do not make it together for Christmas, but Thanksgiving we all make a special effort to get together! Any wonderful ideas are welcome! A new stocking for my new granddaughter! I’m making a Christmas lap quilt! I am working on new Christmas placemats right now. So cute! I,m making a new tablerunner. A new tree skirt and matching stocking to hang by the fireplace. Some pillows to decorate my son’s living room! I plan on making a tree skirt and a tablecloth. I will be making a tree skirt, stockings and ornaments. Thanks for the chance to win. I am working on a tree wallhanging and plan to make a tabletopper or runner. thanks for the chance to win. I made the gift card envelopes.